It’s no secret to anyone not wearing rose-colored glasses that Motorsports is approaching a crisis. This is not confined to the U.S. but is a global issue. Whether you are talking about F1 or road racing in the U.S. unsettling things are happening. Things that do not bode well for those concerned. In F1, generally considered to be the pinnacle of racing, the HRT team barely made it to the end of the 2012 season. They are not listed on the FIA’s list of teams to contest the 2013 championship. While many of the world’s major companies are involved, I doubt if other than Ferrari, McLaren, and Red Bull any of the teams are awash in cash. (Forgot Mercedes, but it may be approaching put up or shut up time for them. Nascar had declines in both attendance and viewers from 2010. I don’t mention 2011 because that was a slight increase over 2010. In other words the decline has resumed. Trans-Am is gamely trying to recapture the glory from the days of manufacturer involvement with the pony cars in the 60’s and 70’s. While the introduction of what are in essence stock car chassied pony cars bodes well, the lack of a viable TV contract is a MAJOR constraint. Even vintage racing has taken a hit. Car counts are down at many venues, despite the fact that this is one of the most affordable ways to participate, maybe not race, that there is. So what is to happen? Will all the brave talk of the “new car” in Nascar bring fans back? Will Twitter return Nascar back to its glory days of only a few years ago? Or, will a Generation 6 spec race car provide the same type of racing that has caused fans to abandon the sport in droves? And is Twitter another way to keep up with the sport without actually attending races? As to GrandAm/ALMS what are they going to do? Will they try to make it a road racing version on Nascar? Or capitalize on the strengths of the two series? 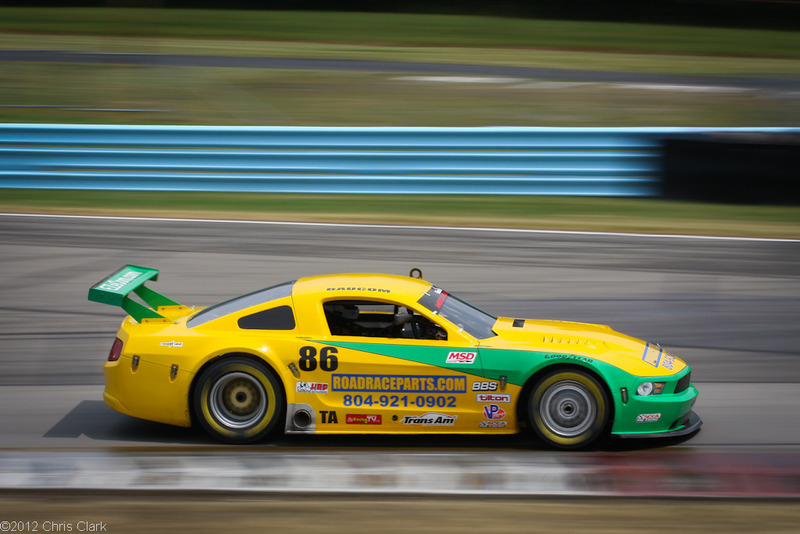 Trans- AM is returning to the classic road racing circuits in the coming year. The addition of Sebring and Daytona, plus a return to VIR can only be viewed as positives. But even more so is the alignment with SVRA. That is probably the most natural fit for them. But still the major players aren’t coming in without a TV contract. Hopefully that will be addressed, because it is great racing. Hopefully 2013 will be a year for growth in motorsport. But there is something going on in the world regarding Motorsports beyond the economy, and the powers that be need to address it. Iphones sell millions on the day they are introduced, but Nascar was down 24% in the 18-34 demo. Hmm? That should be speaking to somebody. Now lets see, I have a car, all it needs is a few upgrades, and if I could find a driver with some money……….. The has been a fairly interesting thread over on the GT1DA.com website recently. In the forum section an individual posted that, in essence, it was time for the SCCA’s GT1 class to be returned to the amateurs. That the class had been hijacked by the Trans-Am racers and had become so skewed that no amateur had a chance of winning. In the article he, to my surprise, named Tony Ave and Jim Derhaag as being the main perpetrators of this theft. While I found it a little difficult to follow, it appears that he had three main complaints with the rules. One. The weight breaks were such that you had to have a 358 engine to compete. Two. 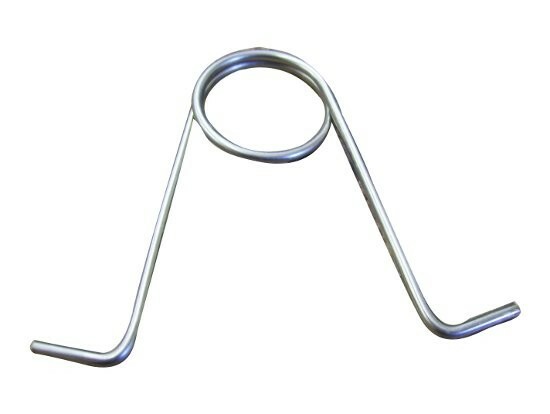 The cost and complexity, of adjustable sway bars. Thirdly. The cost of a three link rear suspension, where the upper link extends up into the driver compartment. Then, in a move that I really dont understand, he complained about the cost of a HANS device and the requirement that it be made mandantory. These were all items which he suggested should be rescinded for the good of the sport and the financial well being of the competitors. Now I have no idea how you feel about this matter, or if you even care. To me however it appears to be so same old argument. “Racing is too expensive for the average competitor, and something needs to be done about it”. And you know that is correct. However, there is no turning back, once the technology is out there you cant do a Vulcan mind meld and force people to unlearn it. Short of that its probably a thing where if you cant afford it, you need to look for an alternative. I do think that the SCCA and similar groups should examine ways to reduce the costs to the competitors. At the same time we dont want GT racing to become a spec series. If you really want to see out of control costs look no further than Nascar. There with basically a spec car series, teams are spending increasing amounts for really small returns. Why? because in a spec class it only takes a small advantage to seperate the winners from the losers. In GT road racing, we are fortunate to have vintage racing. There the older cars can still be competitive with their peers long after their time of glory has passed them by. Maybe instead of trying to keep the times from changing, those who would advocate that, should give vintage a try. But to quote Dennis Miller: “thats only my opinion. I could be wrong”. Today I thought that against my better judgement I would revisit a subject that has been already beaten to death. And for that I apologize in advance. But I thought I would try to see how you feel about it. For the past day or so, I have been involved in a thread on Facebook about “cheating” in motorsports. To give the short version of the story, the individual who started the thread accuses the race sanctioning body of manipulating the races and therefore the results. While I have said that in my view condoning, and even encouraging cheating by the teams is equally wrong in my view. So as you can imagine we have agreed to disagree. Or, at least I have. Looking at the issue it appears that motorsport in general is divided into two camps. To make a broad generalization it appears that road racing is far less forgiving of outright bending or breaking of the rules. Back when I was club racing in the SCCA, they didn’t fool around with some monetary penalty which depending on the depth of your pockets could be either devastating or a slap on the wrist. Rather the most common penalty would be a suspension of a few races to think about it. On the professional side, the penalties seem to be more likely to be things that either penalize the team or sponsor. A race suspension, monetary fines, or a loss of championship points. But seldom is there not some major punishment for an infraction of the rules. F1, of course is known to be extremely heavy handed with monetary fines. But it appears that to sum up the mindset is this. It is perfectly fine to take your interpretation of the rules right up to the very edge. An example being the use of the hole for the jack in the floor of the Brawn F1 car to feed air into the diffuser. Maybe in the spirit of the rule thats a little edgy, but it is legal. However its not ok to deliberately break the rules, like an oversize fuel cell. If you do that you better have good lawyers to represent you at the hearing. On the other hand there appears to be a culture in oval racing that its all a game, kind of like the Roadrunner and the Coyote. That you can do whatever you can get away with. That its just being creative and that its not really cheating. In fact, some of the most revered figures have been known for their “creativity”. So I’m curious as to how you feel about it. Please answer the poll question below and lets see how you feel about it. Its getting to be that time again. Well, its almost time once again. Time to shake off the winter doldrums and start back to racing. The Daytona 24 hour is history along with the Grand Am support event. In Spain the F1 teams having all done their ritual launches of the new cars, fired off the first test of the year at Jerez. This weekend will see the first race of the V8 Stockcar Series season. So, are you ready? Have you almost got the car ready? Are all the parts here, just waiting to be put on? Or is it the old as soon as I get my tax refund check, I will knock it out. Whichever one it is, its an exciting time, everyone is going to win the championship, set new lap records and all the disappointment from last year will be forgotten. Maybe for you its something totally different. Regardless its getting to be that time again. As many of you the V8 StockCar Series has been around for, I believe 9 years. That makes it one of if not the longest consecutively running road racing series in this country. As I mentioned we will be doing a series of articles on all the respective classes in this series. But before that I want to give a shout out to their season opener next weekend at Sebring. If you get the chance, get down there and check it out. They put on a good show. I’m upset because I want to see the tube frame Falcon that Tommy Riggins built! The Crane Cams V8 StockCar Road Racing Series will kick off its’ ninth season at Historic Sebring International Raceway February 11 & 12 running with the Central Florida Region SCCA. The Sebring event will be the first round of the “Winter Heat”, with round two the following week at Palm Beach. Some thirty plus competitors in our four classes are expected to compete for points, bragging rights, and prizes. The Porterfield Enterprises V8 GT-1 classes features some outstanding drivers and machines such as four time series champion Dave Machavern in his Heritage Motorsports, Tommy Riggins built, silhouette 1963 Ford Falcon, multi time V8 Series winner Charles Wicht in his Rocketsports Corvette, Larry Beebe in a Tony Ave prepped ex Trans Am Mustang, Ray Webb in a Riggins Chassis Corvette, V8 winner Robert Borders in his C6 Corvette, George Prentice in his winged Monte Carlo and more. ex World Challenge Corvette, and the giant killing Mazda RX7 of Bill McGavic. The Goldin Brothers’ Mazda was constructed by Tommy Riggins and competed for a number of years in Grand Am, including several Rolex 24 appearances. Braswell has a very fast Doug Rippie Built Corvette and he will be tough on his home course. McGavic led the class points battle most of last year, but was unable to make the ARRC championship race costing him a chance at the title. Despite being way underpowered compared to the big bore cars in the class, McGavic cut competitive lap times using the nimble handling and great brakes of his lightweight racer.In the Howe Racing V8 GTA class, 2011 Champ Randy Walker will be on hand in his brand new Howe Racing built Camaro. V8 StockCar rookie of the year Cameron Lawrence will be bring out his Mike Cope Racing prepared Impala. Cameron has been competitive at every track he has raced at during the past year and grabbed a podium finish in the TA2 class at the Trans Am finale at Road Atlanta. Georgia’s Ricky Sanders is entered in his PitBoxes.com Monte Carlo and he will make some noise. Alabama’s Bobby and Roger Reuse will fly their beautiful new ARP bodied Camaro’s and either is fully capable of taking the win. Veteran stock car road racer John Goodson will have the only Ford in the class in his 2010 Ford Fusion. Newcomer Mike Wilson will bring out his ex ASA Delco racer to test the the 12 hour circuit. Hall Robertson returns in his #62 Farner Barley & Associates late model type Monte Carlo. 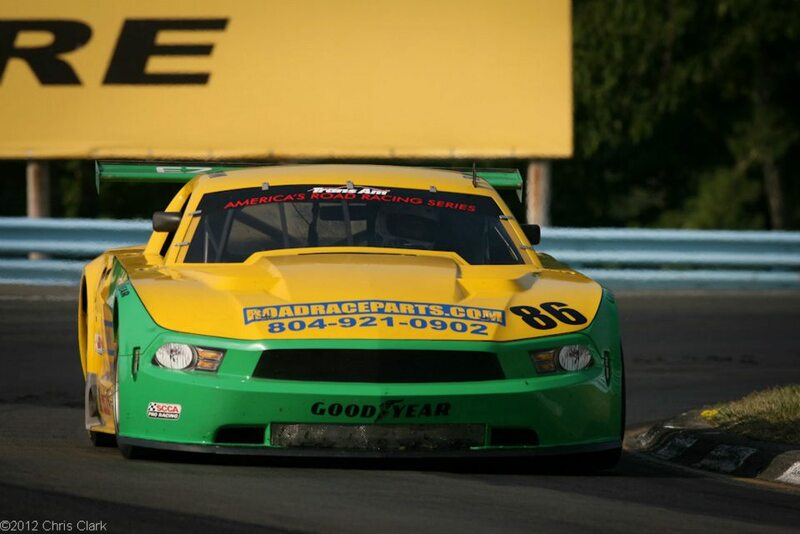 The spoiler in this class this weekend could very well be Tony Ave, the reigning SCCA Trans Am Champion, who will shoe the #167 Boden Masonry Monte Carlo owned by Larry and Debbie Beebe. In the PitBoxes.com V8 SPO class Paul Breehne will debut his Ford Mustang, actually the same championship winning chassis from last year rebodied and prepared by Mike Breault at PMS Motorsports. Expect a good battle between Breehne and Lee Arnold in his Impala late model for the class honors. In addition to the Crane Cams V8 Series points event the weekend will also feature the Nordic Camaro Cup. The Camaro Cup is a European Professional series that includes Corvette Racing’s Jan Magnusson and Grand Am driver Nic Jonnson in tube frame Camaro’s similar to our V8 GTA cars. The Sebring weekend will be a spectator event and non SCCA members will be admitted for a very nominal charge. The following weekend the series will move to Palm Beach International Raceway with the Historic Sportscar Racing group as will the Camaro Cup Series.